This stuff is like heaven in a bottle on a hot day. It's basically a fancy water spray, but the water comes out so cool; it feels lovely on the skin. It also soothes irritated skin, adds moisture and can be used as makeup setting spray. My Children and I were literally covering ourselfs in the stuff! It really gave my skin instant relief from the heat! Having dehydrated skin means I love a good facial spritz at the best of times, but in the hot weather they really do their job! This one from Mario Badescu is packed full of vitamins to hydrate, soothe and cool the skin. It refreshes my makeup and makes it look a whole lot better. The thought of putting a thick balm cleanser on my face just didn't seem like a good idea, I wanted something nice and refreshing to remove my makeup. So I've been reaching for this. It's so light but does a good job at removing my makeup and leaves my skin feeling clean and fresh. Which is just the best feeling after a long day in the heat! After feeling like my skin had been suffocated all day a deep cleanse is definitely in order. And this mask has been amazing! It exfoliates, deep cleans and nourishes all at the same. The consistancy is more on the thin side considering its mask, but it felt instantly cooling on the skin. It does set but was so easy to remove. Once I had, my skin instantly looked brighter, fresher and felt soft and smooth. This was so nice to use. I highly recommend this! 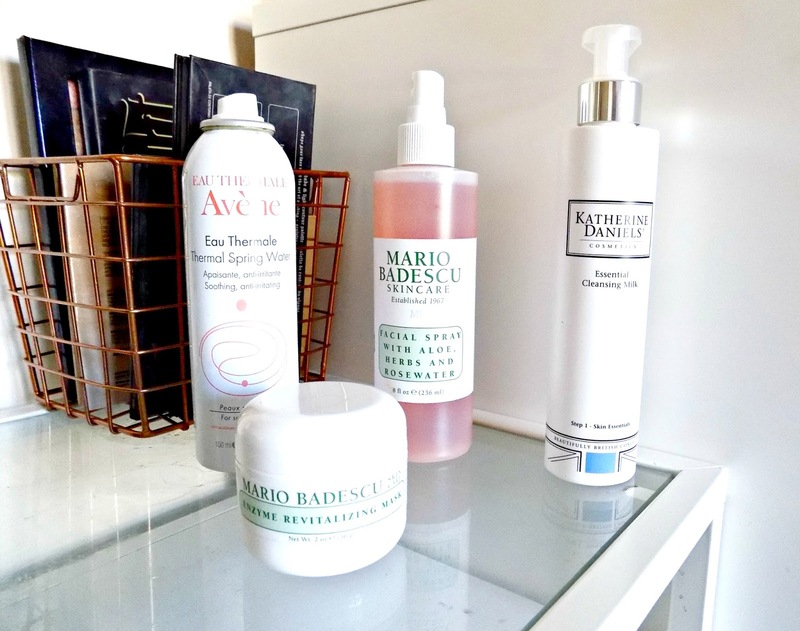 So there's a few thing I've been using to keep my skin refreshed in the sun! Have you tried any of these? What are your thoughts?